There’s a massive mismatch in the hedge fund industry. Hedge fund investors are over-expecting, and the hedge funds themselves are under-delivering. BNY Mellon/ FT Remark surveyed 400 investors, and released the findings Tuesday. Nearly all expected to make a net return of at least 9% on their hedge funds last year. That’s a far cry from what hedge funds actually returned last year — a decline of 2%, according to data tracker eVestment. Some investors― 5% ― expected even more astronomical performance from their hedge fund portfolio last year — at least 18% net returns, the survey said. Meanwhile, thirty-two per cent of the investors expected their hedge funds to return 9% to 11% last year; 30% expected a 12% to 14% return; and 32% expected 15% to 17%. BNY Mellon surveyed pensions, endowments, sovereign wealth funds and insurers based around the world. The dramatic mismatch between what hedge fund investors expect from their funds, and what the funds are delivering, is why so many market participants are predicting prolonged suffering in the hedge fund business. Many funds are having to lower fees or offer other investor perks to compensate. Some managers are even starting to offer retail hedge funds, otherwise known as alternative mutual funds, to tap into a larger investor pool. Element Capital Management, which returned about 22%. Capula Investment Management, which posted gains of 7.5%. Perceptive Advisors, which posted a 51.8% return for its $1.5 billion Life Sciences fund . Those wins contrast with the more prominent stumbles among some of the world’s most famous hedge funds. 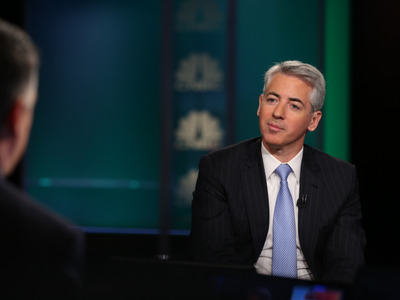 Bill Ackman’s Pershing Square Capital had its worst year last year, declining about 20%, for instance. And David Einhorn flagship fund at Greenlight Capital also tumbled about 20%.